How many of us grew up being told by our parents, not to play in the dirt or get dirty when we went out to play? I’ve found out, it’s great to get your hands a little dirty making fresh and organic compost. Composting is very simple, costs virtually nothing and is one of the best outdoor family activities you can do. Here is some quick information to share with kids about the benefits and how-to’s. I’ve also included a list of things we do with our kids to help make it fun and educational for them. The “behind the scenes” science is what makes composting pretty cool. All organic scraps or wastes break down over time. When nitrogen and carbon wastes are combined, tiny microbes, insects and worms, help them to decompose. What’s left is organic matter, or “humus”, that is very nutrient-rich, medium which plants grow and thrive in. It all comes from things you throw away everyday and it costs nothing. When you compost you are also reducing your carbon footprint on the Earth and helping our fragile environment. To learn more about your family’s footprint, visit the Nature Conservancy for this easy to use interactive calculator. KEY TAKEAWAYS: Composting creates a medium for plants that is filled with the nutrients they need to flourish, made up from things you already have in your home, helps the environment and reduces the trash we send to the landfills...A major win/win/win! Nitrogen or “greens” - Produce scraps, grass clippings, coffee grounds, aquarium water (freshwater), and weeds that have not seeded. Carbon or “browns” - dried leaves, paper towel/ toilet paper rolls, newspaper, cardboard, paper egg cartons, and sawdust. TIP: The smaller the pieces, the faster they break down. 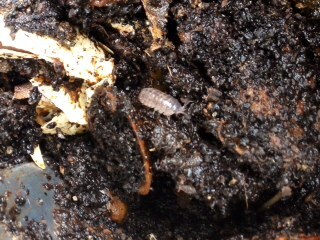 General rule of thumb: a 50/50 balance of each in your compost and you will be well on your way to achieving compost! There is plenty of research and information on ratio balance. Compost will happen regardless so there is no need to do the math. Water - without moisture your compost pile will become too dry for the microbes and insects to their thing. There should be a source of water nearby to help keep the compost moist. Air – proper air flow will aid in the composting process. For larger compost piles it’s best to turn it occasionally, exposing the inner layers to the outside air. Now we get down to the dirty fun part and how my family shares in the joys of composting. Besides teaching my kids about reusing and recycling much of the waste we produce, we make sure to involve them in every step of the process. They are thrilled to head out in our garden to do projects. We’ve even made a game which they enjoy too. Here’s a list of 5 cool composting projects you can all do together. There are many solutions available for making a compost bin; discarded wooden pallets, cinder blocks, trash cans or even a plain old pile. All these will work but I tend to use whatever I have on hand. 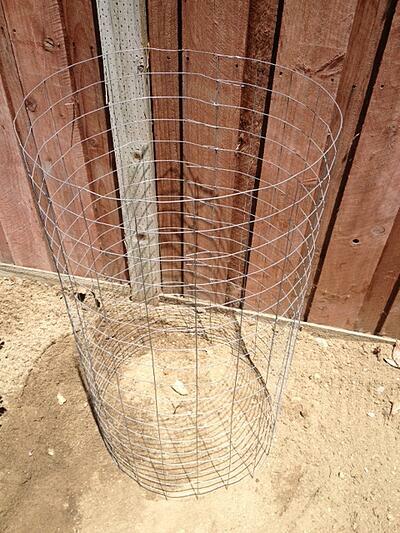 For this project I used wire garden fencing material left over from last year’s garden. It’s an easy weekend project that’s fun for you and the kids, inexpensive (under $20 to buy), and makes a great compost bin! 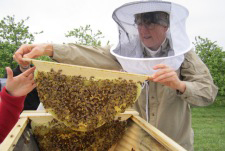 For other great ideas, check out the Organic Gardening website and search for “compost”. 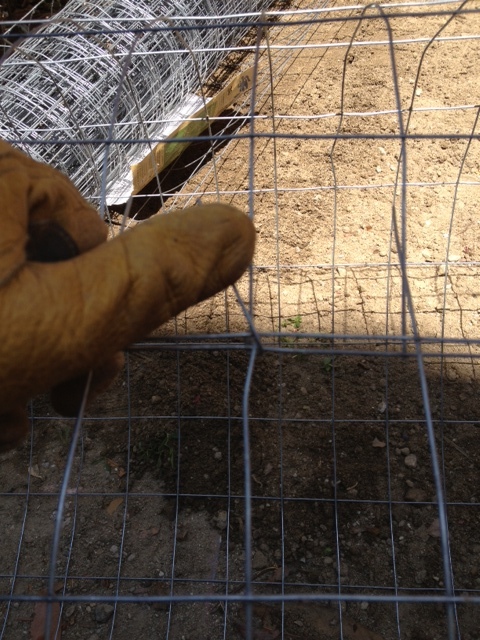 Step 1: Tools needed – wire garden fencing (36”x36”) available in most retail hardware stores and garden centers, wire cutters, gloves, safety glasses. 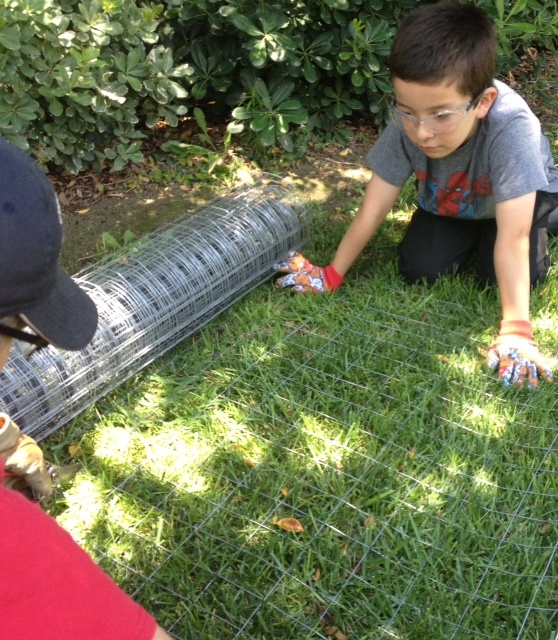 Step 2: Wearing safety glasses and gloves, unroll the fencing having your kids help by holding it in place. Cut a section 36” leaving enough wire to secure the bin together. Step 3: Roll the section into a cylinder (cut edge to uncut edge) bending the wires on the end you cut around the edges of the uncut side. Step 4: Put into place and start adding waste to your compost pile. 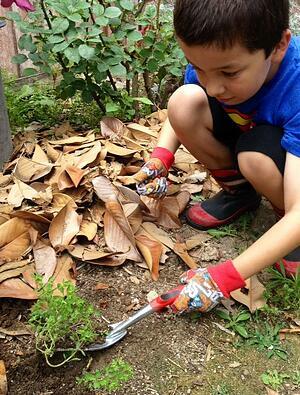 A great way to make composting fun for kids is to make it a game. We play this at home and the kids love it! Step 1: Review the list of compostable materials, the browns and the greens they need to find. If you need a quick reference on materials to use and what not to use, check out this handy guide published by the EPA. FUN TIP: Create flash cards with pictures of what to look for! I’ve found this to be a very helpful visual! Step 2: Create a chart with each family member’s name, with check boxes for finding browns and greens. Step 3: Give each kid an empty pale or sealable plastic baggie (it can get messy!). Spend 20 minutes walking around the house and outside for materials to compost. Step 4: Each item they find is worth 1 minute of “screen time” or time with their electronic devices. There are so many cool things about this game. Kids go looking for materials everywhere…even outside! Like raking up leaves or grabbing the junk mail and newspapers to shed. 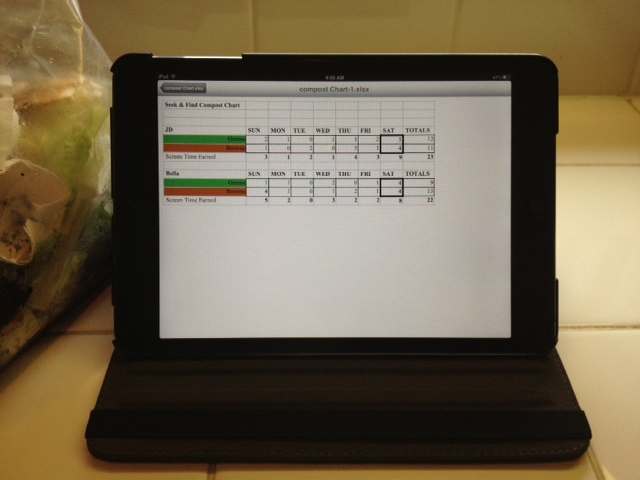 To keep track of points and a log of what goes into your compost pile, we made simple spreadsheet to track it. The kids know how many points they have and it helps maintain that 50/50 balance. If you see they are collecting more greens, ask them to look for more browns to even out your compost. Once you get your compost started you’ll want to turn it occasional to speed the process. A garden fork works well for this and helps get air to the materials on the inside. As it begins to break down, you will find all sorts of bugs and crawly things in the pile. Take a camera so kids can take pictures of the bugs they find and look them up online. It’s a great way to get them outside and learn about nature. They also love that they get to use the electronic devices to look them up. Okay, so it’s still techy but we get to spend time together, learn about bugs, and the kids think they are playing on the tablet. Decomposing waste may not be a focal point in yard but it doesn’t have to stick out like a sore thumb. Here are a couple of great ideas that you and your kids can do to help dress it up. • Plant seasonal flowers and vines that can grow along the outsides of wire bins and add some visual color to your yard. Trim stray vines to keep it looking tidy and toss them right in the compost. • If you are using wood to support your compost pile, give it a coat of paint and let kids add their touches. Putting their hands in paint and leaving their mark all over the outside is just plain fun for them. It’s also like having kids’ artwork out in the yard too! It may sound hard to believe, but composting is a little addicting. Once you have seen the fruits of your labor you may just become compost crazy. I’m always on the lookout for more waste wherever I go. A good source is your local barista. 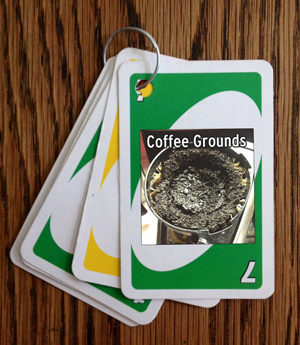 Many coffee shops will bag up coffee grounds for you for free! Take your kids with you later in the morning and have them ask the barista for any left over coffee grounds. 9 times out of 10, it works if someone doesn’t beat you to it! It’s also a great time out with the kids, you get your morning latte and your compost gets a mega-shot of nitrogen. 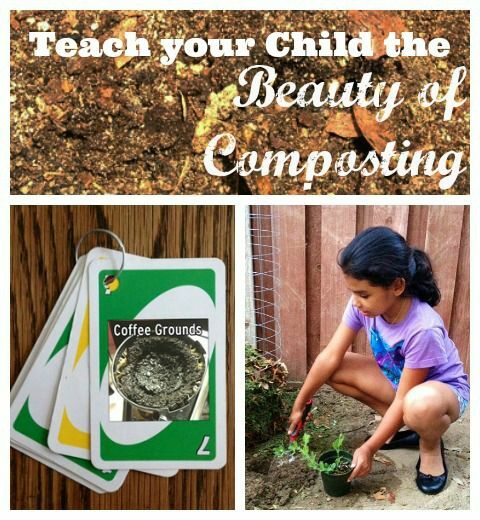 There you have it, 5 great ways to get kids interested in compost while having fun and learning in the process! 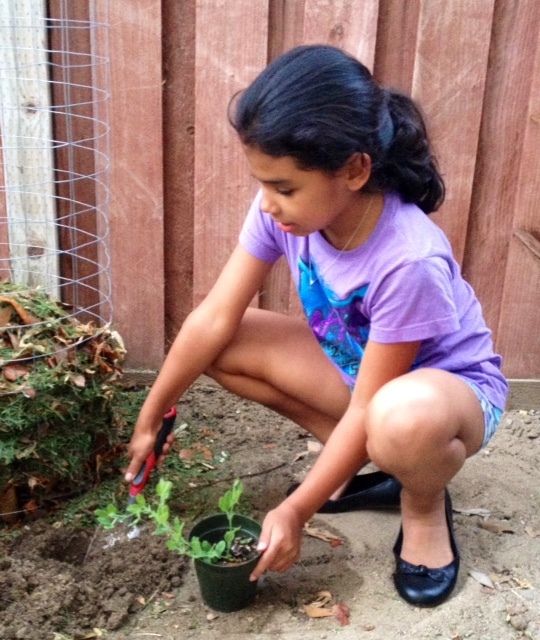 Do you teach your kids about composting? Share what works in your family in the comments!